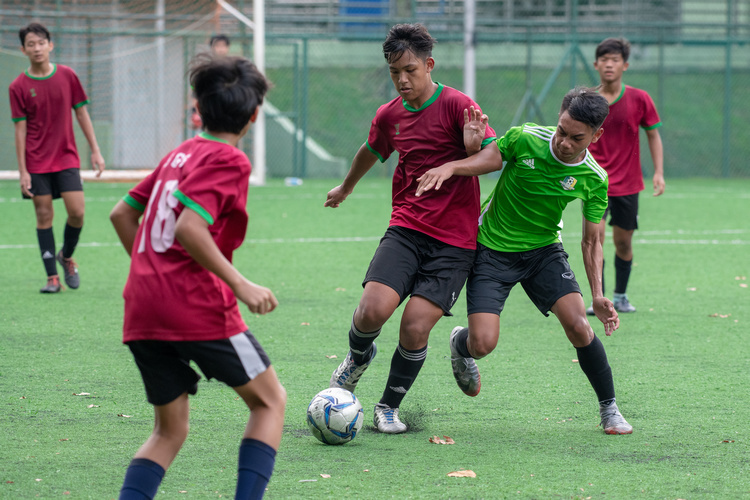 Sembawang Secondary School beat Woodlands Secondary School in a clear- cut 4-1 win to secure a spot in the B Division Football School Premier League (SPL) 1. 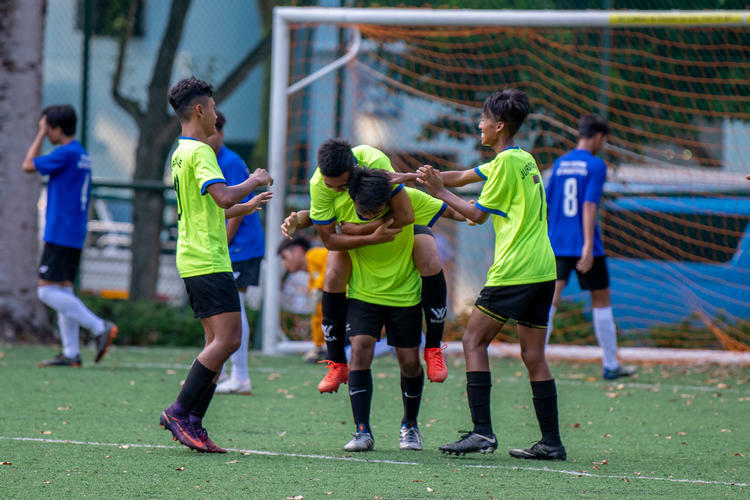 Bartley Secondary School (BSS) edged out North Vista Secondary School (NVSS) 5-3 on penalties to seal their spot in the School Premier League (SPL) 1. 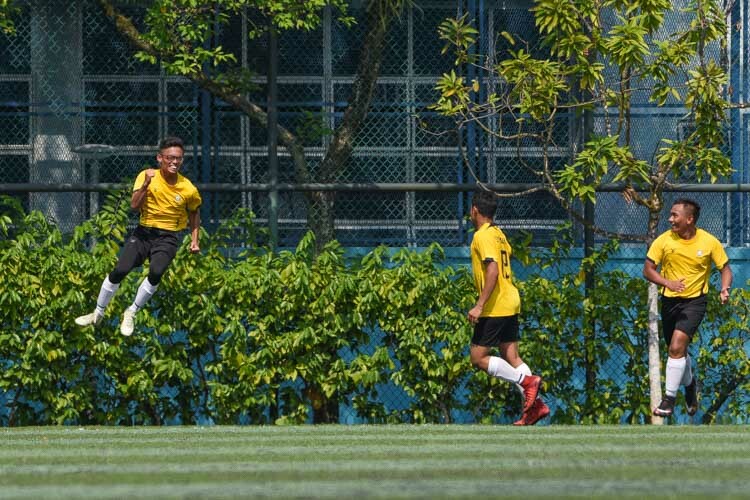 Jurongville Secondary scrape by with a 1-0 win over opponents Chua Chu Kang Secondary, continuing their winning streak in the National B Division Football Boys League Qualifying Round. 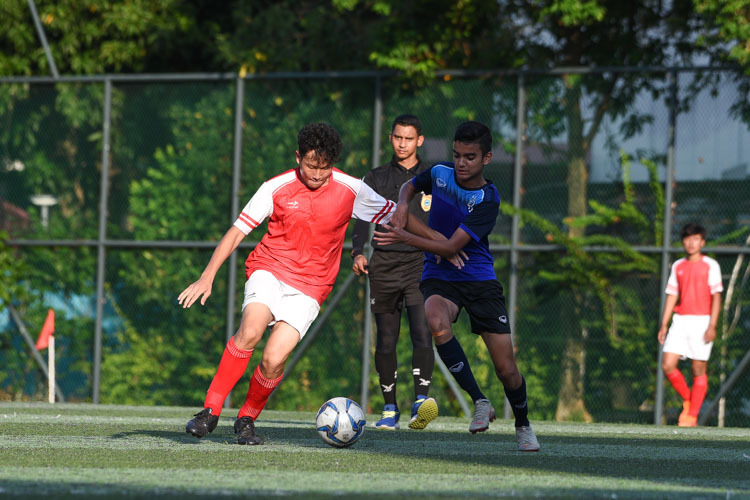 Serangoon Garden Secondary come from behind to win 5-2 at full time, after being down 1-2 to Orchid Park Secondary in the first half. The win furthers their campaign to make it to the round of 16. 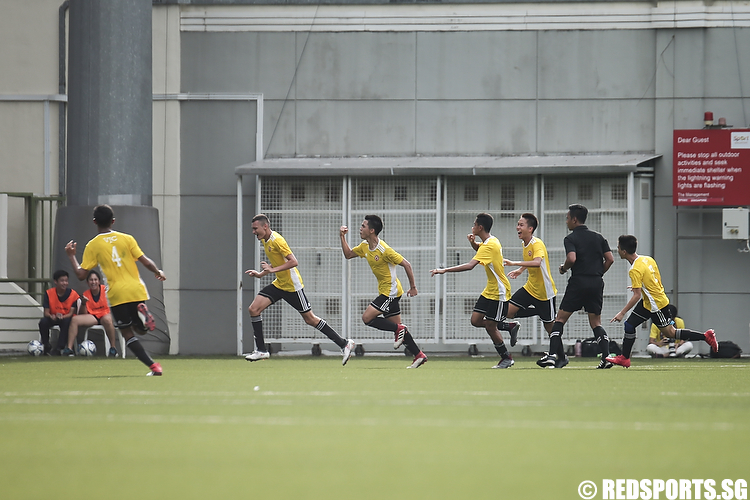 Sheares Hall dethroned defending champions Eusoff Hall in a dramatic 3-2 penalty shootout win to clinch the IHG Football title. 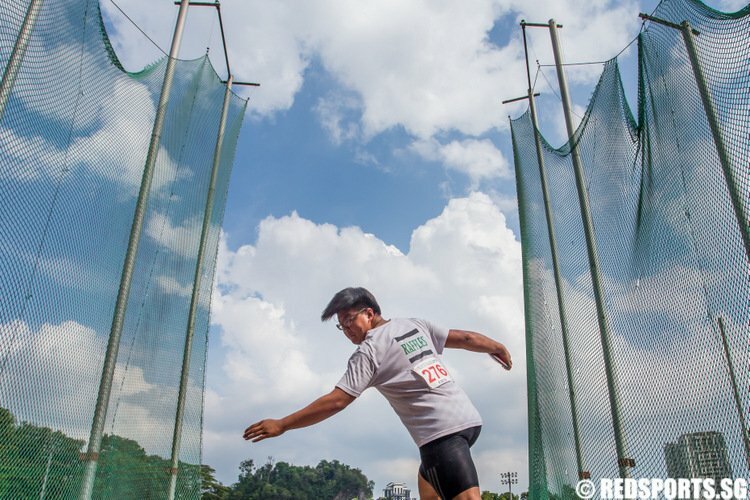 The scores were tied 2-2 at the end of extra time. 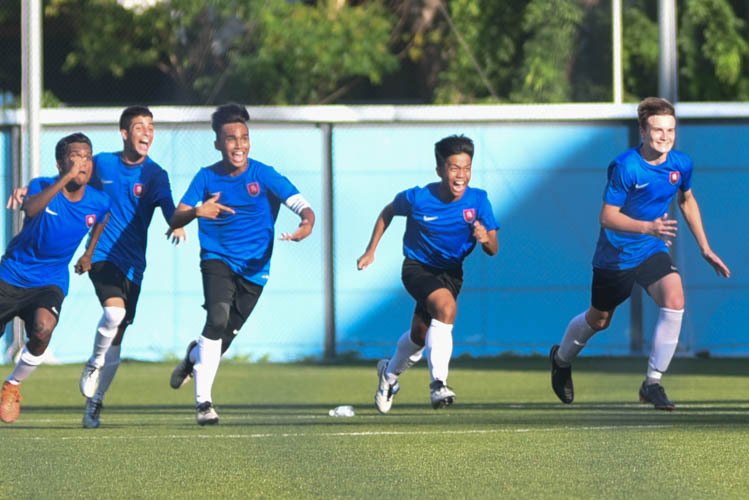 A stoppage time goal by Marcus Tang (#5) powers VJC to a 1--0 victory over MJC in the National A Division Football Championship final. 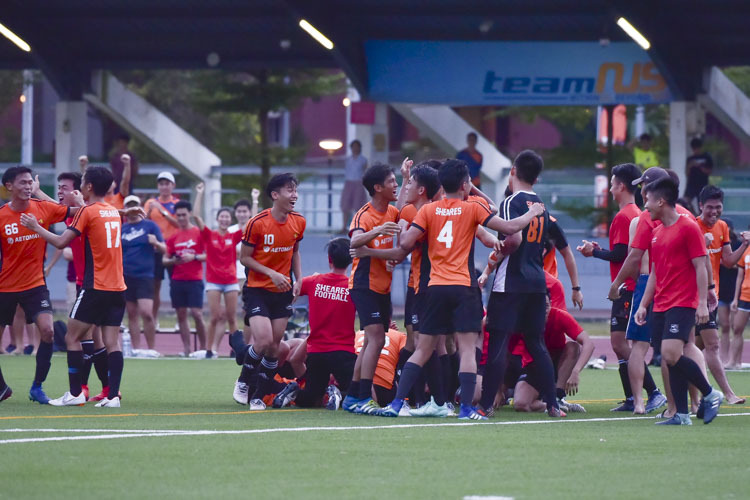 In one of the season’s most exciting matches, Nanyang Junior College narrowly edged out Millennia Institute on penalties, after the game ended 1-1 in normal time, to retain its third placing in this year’s National A Division Football Championship. 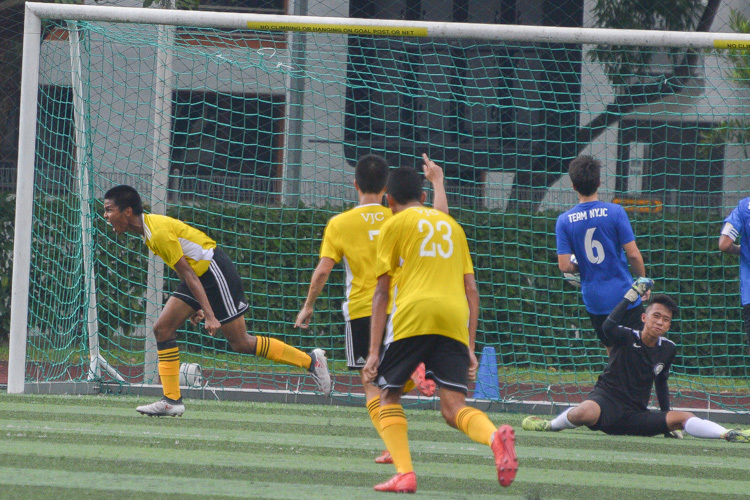 VJC claim 3-1 win over NYJC to remain top of group.